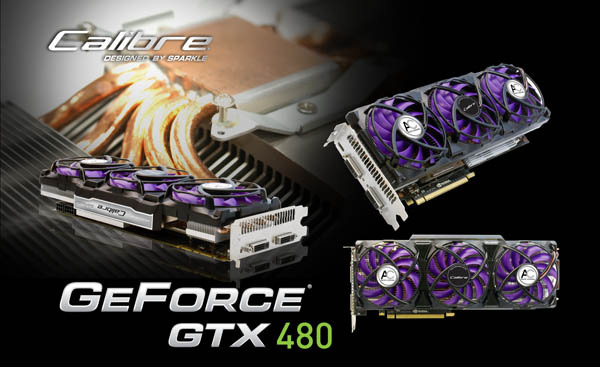 The VGA card manufacturer SPARKLE, today announced its new DirectX11 graphics card, the Calibre X480, which comes equipped with the Accelero Xtreme Cooling Solution from Arctic Cooling. The GF100-based graphics card has core clock at 752MHz, 1536MB GDDR5 RAM at 3800MHz and 384-bit memory interface, utilize PCI-Express 2.0 and has Mini HDMI and 2 Dual Link DVI-I outputs. 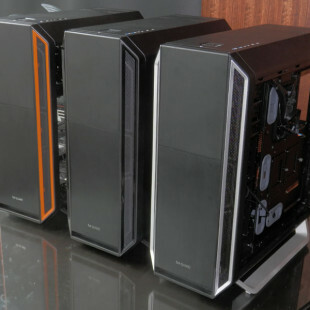 The Calibre X480 Graphics Card is equipped with the Accelero Xtreme cooling solution from Arctic Cooling, which features 5 heatpipes, 107 fins and 3 silent low speed cooling fans, and promise to cool the temperature of the graphics card “at least 10 ºC lower than the stock cooler”. The new video card comes with three year international warranty, but unfortunately the price is still unknown.